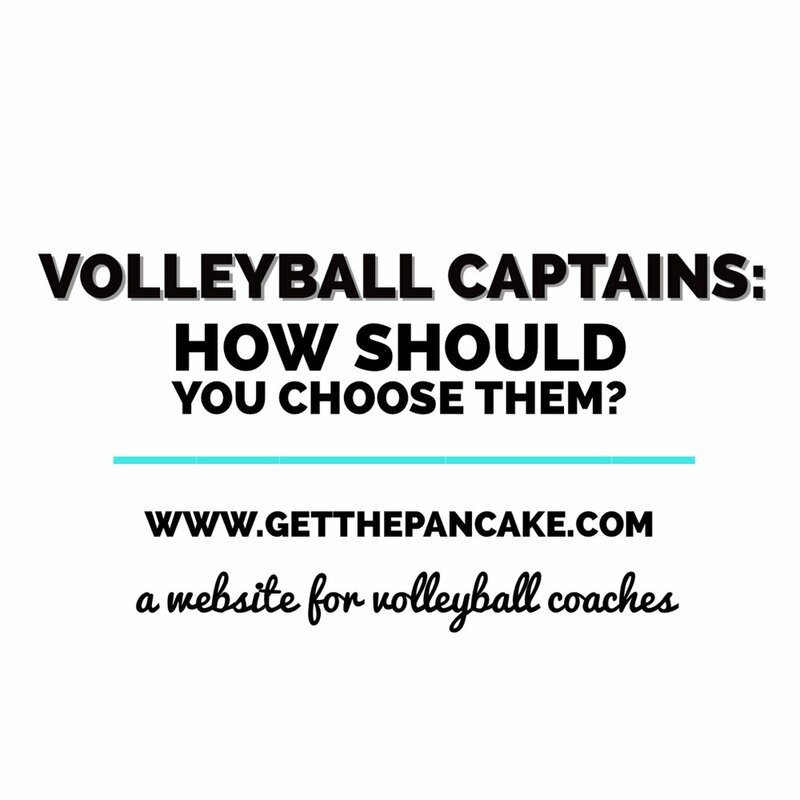 Volleyball Captains: How Should You Choose Them? As a player, one of the most exciting recognitions you can receive from your coach is to be team captain. As a coach, one of the most nerve-racking decisions in the beginning of your season is determining who is going to be your team captain. How are you supposed to decide who is going to be team captain? Are you going to have more than one team captain? What are their actual responsibilities going to be, and who will carry those out best? 1. Have one or two captains, whom you choose, for the entire season. Natural leaders will stand out, making this a (typically) easy decision. You're controlling your culture for the season. This decision likely reinforces the team's beliefs in who the leaders are. There is little drama surrounding the topic of captains once the decision is made. This is standard. Few people would argue against this. Parents and players may think you're playing favorites which could build resentment towards you as a coach. If there are other leaders on the team, they may lose motivation to keep leading. Captains may become complacent and too comfortable in their position. 2. Have your team vote on one or two captains for the entire season. The team can never argue with the coach about who captains are, they voted them in. A leader may emerge from the group that you did not originally see as being captain material. The players will naturally look up to the captains, as they were their pick. This can easily become a popularity contest instead of a true vote on leadership ability. The players may get offended if they aren't voted to be captain. The team may pick someone who is a horrible choice for a captain! There's potential for lots of drama here: "Why didn't you vote for me?" "How could you vote for her?"
. Give everyone a turn at being captain throughout the year. Everyone is included and gets to experience being a captain. Someone you would have overlooked as captain may surprise you with their leadership skills. Someone may be captain who does not want to be captain or does not have the right skill set/personality to be a captain. You're missing an opportunity to reward effort and leadership by giving everyone on the team this honor by default. No one really gets used to being a captain and doesn't assume that role. Players have something to strive for throughout the entire year. Players are rewarded for effort and performance in a public way. If someone who showed great ability in the beginning of the year starts to get a bad attitude, you can monitor the culture by appointing different captains. Some people might not be picked as captain, and that can affect them mentally. Explaining why they weren't ever a captain is really hard during the last tournament. This system is an art, and feelings, culture, strategy and many more things must be taken into consideration with each pick. Players and parents may think you're playing favorites. In the end, you need to decide before your season starts what your philosophy will be and why. Some options are better suited to different age groups. Younger teams may benefit from rotating captains and taking turns, whereas older, more advanced teams might run more efficiently with one or two captains for the whole year. My personal favorite is option 4, which is to have rotating captains. Pancakers: Do you have any other strategies for choosing captains? Or do you subscribe to one of the above mentioned methods? What have you experienced in picking captains? Let me know in the comments!